Both German companies, ElektroFahrzeuge Stuttgart (EFA-S) and WOF, are located in the heart of car-making territory in Baden-Wurttemberg. 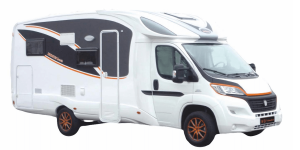 While EFA-S has made a name for itself as a developer and retrofitter of passenger cars, trucks and buses into purely electric vehicles,WOF has been selling campervans throughout Europe since 2012 and offers upmarket campervans and motorhomes under the brand of Iridium. For this joint project, WOF contributed one of its tried-and-trusted wider commercial vehicle chassis, EFA-S contributed the drivetrain and battery technology, and the two companies commissioned the Swiss campervan manufacturer Maurer Fahrzeugbau to make the e-camper’s bodywork. EFA-S have developed a drive solution for the e-camper that they claim has already proven its worth with trucks from UPS parcel service. This cooperation dates back to 2014, as we reported. The core component is a synchronous motor including a control unit from Aradex. For the rechargeable batteries, the company relies on lithium iron phosphate batteries, which are linked to the company’s own battery management system. The Stuttgart-based company has also equipped this model with an integrated charger. 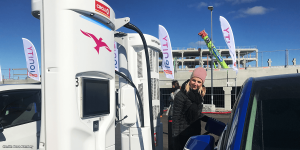 This means that the vehicle can be charged anywhere: at conventional sockets, at wall boxes with up to 22 kW, or via a CCS connection at fast-charging stations with up to 50 kW. However, nothing has yet been said about the vehicle’s required charging times. According to EFA-S, the EV campervan has a range of 200 km, but the company claims that this will increase in the future: “Iridium customers can benefit from the fact that battery capacity is rapidly increasing,” says EFA-S Managing Director Bastian Beutel. 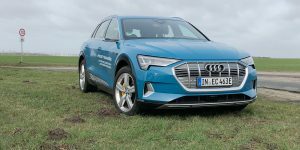 “The same vehicle can, therefore, more than double its range in the near future with the same battery weight by replacing the battery”. EFA-S sees its strength exclusively in niche markets. 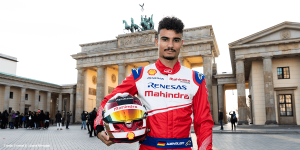 Beutel has been quite explicit in saying that the company does not intend to compete with major automobile manufacturers on mass markets. 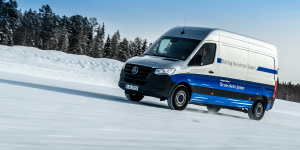 It has been less than a month since the company announced its cooperation with CS, another company based in Baden-Wurttemberg with the aim of equipping emergency-service vehicles with electric drives. 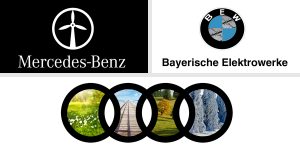 The company recently announced the commissioning of another production hall, and already has a number of existing partnerships with other German companies, such as providing speciality vehicles for Sightseeing Trains Rügen, and electric trucks for the company Bernkastel-Kues. Look forward to seeing tested on the European roads. Winnebago Industries in the USA earlier this year already announced a full size Class-A motorhome that is all electric.